Nesanel Yisrael is no longer a child, but still sing’s a song about his mother.While his latest hit single “Halev Sheli Itcha” is till being playeddaily on every radio station, Nesanel is still hard at work on his craft. We just learned of this NEW song and got aaudio track to listen to from one of his concerts. 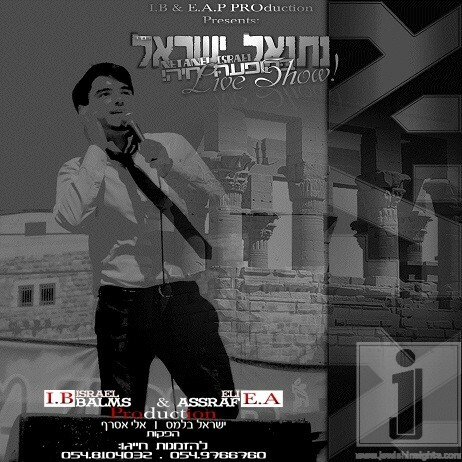 Nesanel’s previous single “Ten Li Siman” showed a unique vocal talents of his young singer and even earlier, a fact which proved itself even performed the song’ Ima ‘(originally sang by singer Moshe Peretz).Nathan performed the song in his own way. Composed & Arranged by: Eli Assaraf.